There will be a 2017 grille badge. It is a stainless steel with a black etched image of the logo. The badges are available for pre-order, and may be available at the event if we have stock remaining after fulfilling the pre-orders. Other items will be available at the Roundup. They will include stubby coolers, mugs, magnets and stickers. Images will be published if we receive them from the suppliers. 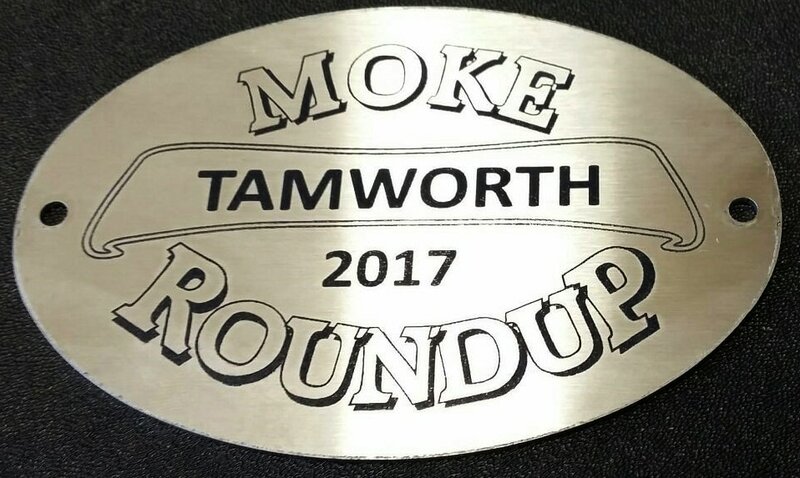 generous support of the Moke Round Ups.